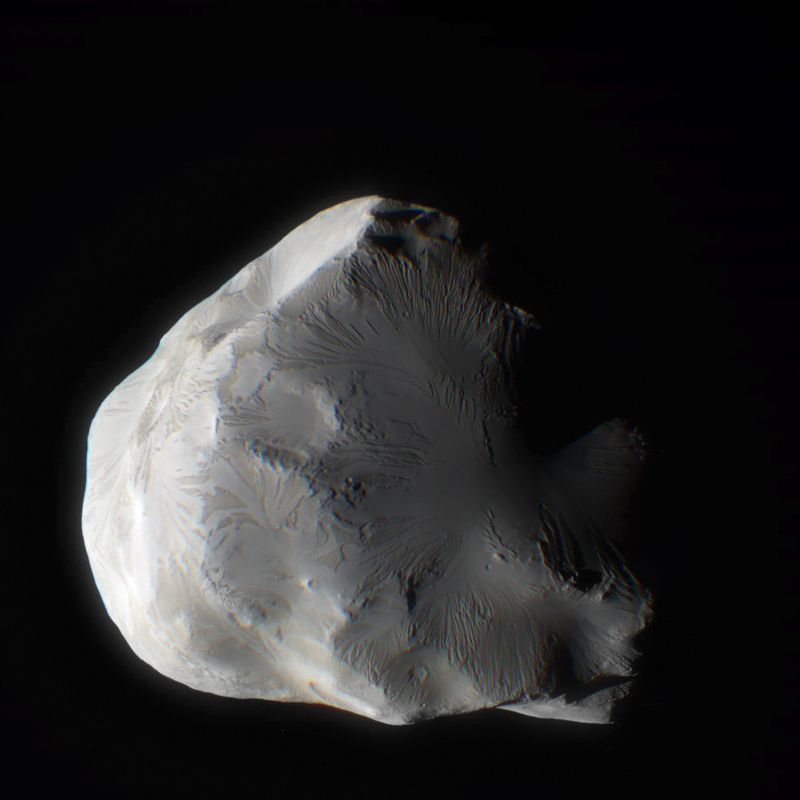 On June 18, 2011, the Cassini spacecraft performed a flyby of Saturn’s moon Helene. Passing at a distance of 4,330 miles, it was its second-closest pass of the icy little moon. The image above is a color composite made from raw images taken in the red, green and blue visible light filters. There’s a bit of a blur because the moon shifted position in the frames slightly between images, but I think it captures some of the subtle color variations of lighting and surface composition nicely! 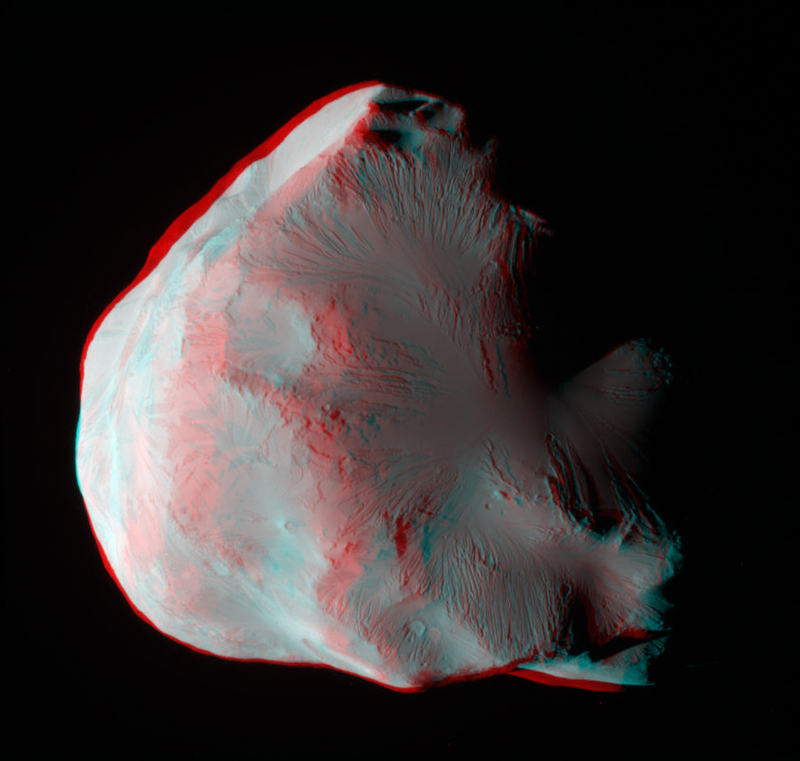 3D anaglyph of Helene. By Patrick Rutherford. The curious petal-shaped “gullies” on the front-facing surface of Helene are most likely caused by material having slid downslope as the result of impacts. Read more on the Cassini mission site here, or on Universe Today and also The Planetary Society’s blog, where Emily has posted an animation of the flyby. Images: NASA / JPL / Space Science Institute. Edited by J. Major and P. Rutherford.